We have the ability to offer our clients superior service. The firm represents clients throughout the greater New Orleans area, including the parishes of Orleans, Jefferson, St. Tammany and St. Bernard. From drafting wills, powers of attorney, to the probate and administration of estates upon the passing of a loved one, call us today to get expert legal help in all of your estate needs. Your Estate Planning Attorney, Vincent B. 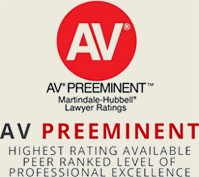 "Chip" LoCoco, has been awarded by Martindale-Hubbell an AV® Preeminent rating, which is the pinnacle of excellence awarded by the Bar and the Judiciary to any lawyer. Furthermore, he has been named as a Top Lawyer in New Orleans as well as a Top Lawyer in the State of Louisiana and has also been named in the Top 100 Lawyers in Wills, Estates and Trusts for Louisiana. He has been rated Superb (10 out of 10) on Avvo.com, the premier legal rating site. And he has been named as "America's Most Honored Professionals" for continuous professional recognition, an accomplishment realized by only the top 1% of American Professionals. Chip's consistent track record of uncompromising ethics instills confidence and trust, and he approaches every client with a focus on integrity, advocacy, and understanding. His office is conveniently located in mid-city New Orleans, near City Park. Please contact us at our Orleans Parish Law Firm with any questions, comments, or concerns. Disclaimer: The information on this website is for general informational purposes only. It is not intended to, and does not, constitute legal advice. Use of this information does not establish an attorney-client relationship with Many & LoCoco or any of our attorneys. Please do not send us any confidential material until you have established an attorney-client relationship with us.